This is a very interesting book. 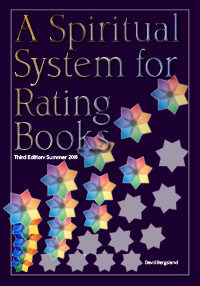 I was given a free copy by the publisher through Book Crash in return for an unbiased review. But it starts with several strikes against it. First of all is the name of the book. It’s nonsense to me, and I don’t have any idea why it’s called this even after I read it. Actually the way the cover is laid out, it looks like Scions of the Aegean C is the title and Decent into the Wilds is the series name. Scions of the Aegean C is what it is called in the emails I read to get the review copy. But, when I get to the title page of the book, I find the reverse is true. 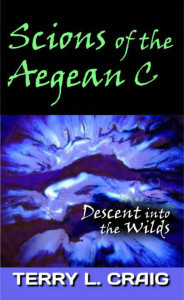 The name of the book is Descent into the Wilds which is Book #1 of the Scions of the Aegean C series. Amazon, B&N, Smashwords, et al call it Scions of the Aegean C. This is a marketing nightmare. Then there’s the cover: Random abstract color does not give us any indication of the story. Plus, as I mentioned, the book name confusion is made worse by the cover layout. Then the fonts used are very iffy—unrelated to the book aesthetically or emotionally, and very poorly spaced. I accepted the review because it was described as science fiction. Two thirds of the way through I was disgusted because it seemed to not be science fiction, but a romance on a distant planet. The science fiction aspects are peripheral to the first book. They may be more in play in the second. (Of course, the second is not released yet.) In addition, it’s very hard to know where the story is going, because like many in the new paradigm in self/indie publishing, this is not a book, but the first part of a book. The descent into the wilds is a brief event at the very end of the book. That’s where the excitement starts. And all I have is wish that the book was all here. I guess I should mention the $8.99 price for the Kindle version. Absurd! The character are interesting. The culture is done quite well, and it’s useful as a way to examine religious assumptions that our culture is dealing with. Believers have been reduced to a place of non-influence in the culture. They are almost entirely from a despised race of slaves. The culture has religious remnants of belief, but basically they are a medieval version of modern day America. But this is a feudal government. So, it does give me a chance to look at religion and faith though different eyes. There’s a lot going on, and it’s a bit of work keeping it all straight. But all of this makes the story interesting. The faith mentioned throughout may just be an Old Testament thing, but it actually seems more like modern mainline beliefs—without a personal relationship. God acts on behalf of His people as an outside force which cannot be avoided, I think. But that’s Islam, not Christian. It’s not Evangelical, and certainly not Full Gospel. It’s hard to tell, because all the true faith will be covered in the next book—I think. Even with all of this against it, I enjoyed reading this book! I’m frustrated that the story stopped in the middle. It seems as if the meat of the book will be in the 2nd book. I would not have read it if I hadn’t accepted the review. Having said that, I’m glad I did. Are you confused yet?